New Devotional Book for SINGLES from J. M. Farro! *The devotionals in this book are designed to challenge and inspire teens, young adults, and singles of every age – including single moms – to live a Christ-centered life of victory and purpose! *Inside, you will find Spirit-led devotionals showing you how to lay hold of your healing in Christ, how to break destructive patterns that are hindering your spiritual growth and success, how to thrive and grow closer to the Lord during seasons of loneliness, how to break free from a compulsive need to please others, how to avoid and overcome unhealthy relationships, how to stand firm against the rising tide of immorality and ungodly philosophies, how to enter into godly and life-enriching friendships, how to have divine protection and provision, how to hear and recognize the voice of God, and much more! *To Order this book in Paperback from the J. M. FARRO ETSY STORE, click here! *To Order this book from Amazon in Paperback or Kindle, click here! *To order a signed copy of this new Singles book (for $7.00 + 3.82 shipping) with a Credit Card or PayPal (if you are in the U.S.), please use the BUY NOW button below. If you would like your book personalized for yourself or someone else, please specify that in the instructions area as you check out. Orders are shipped out promptly by First-Class Mail and will arrive in 2-5 days. 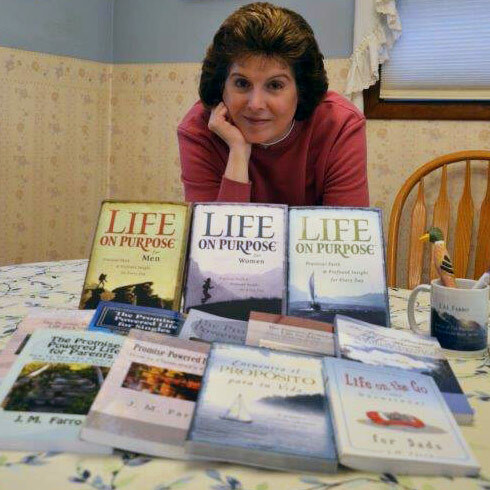 Please direct any book-related questions to Joanne (J. M.) Farro at jmf@jmfarro.com.